January’s round up of home videos include films featuring a man with big guns and another one with big problems. 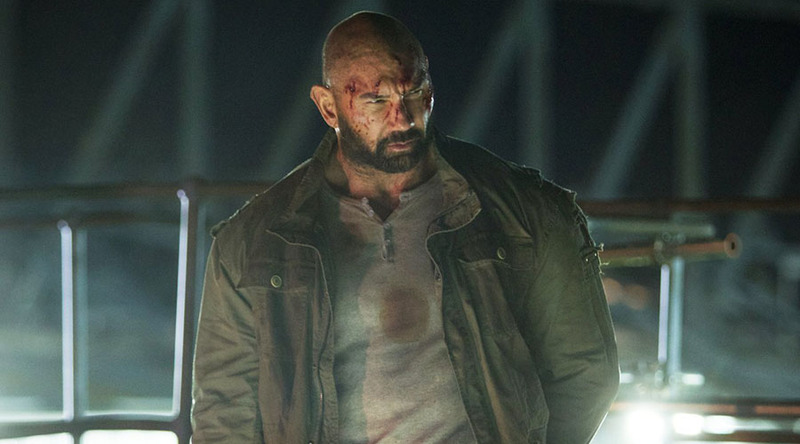 You know that any action film built around the big guns of Dave Bautista (Drax from Guardians Of The Galaxy) is going to feature some extreme physicality and in that respect Final Score certainly delivers. What does surprise is there is also elements of humour and of family values. It’s not all just people getting beat down. The premise is as over the top as the star’s build and involves an entire football stadium (soccer, not American gridiron) being held to ransom. There are many moments of crazy action and a few stunts that defy rationality, you know, perfect action movie stuff. By film’s end you are invested in the characters and their fate and to the film maker’s credit they never let you down. They consistently go the extra mile to ramp things up to ridiculous levels of carnage. First let’s address the elephant in the room, yes among the film’s cast is one Kevin Spacey and after watching the film, it’s almost fitting that he’s part of that list. Because Billionaire Boys Club is an absolute blast of white trash. Very loosely based on a real life group of the same name. These rich So Cal teenagers ran a Ponzi scheme that eventually lead to their financial ruin. It also escalated to murder. Ansel Elgort (Baby Driver) and Taron Egerton (the Kingsman franchise) are the two main players and are well cast as their youth and good looks play perfectly into the story. Spacey also excels at one of his patented smarmy roles. This is an acid tongued look at the over privileged and in that context it is good fun. Both of these movies are available to rent or buy on DVD, Blu-ray & digital.